Holidays are the closest thing we have nowadays to our roots. People celebrated some of them from the oldest of times, and using them as a means to unite a community (or even the world) is still a viable option today. Just like birthdays, most holidays are annual celebrations that we can look forward to. And why shouldn’t we? A lot of them also imply a day off from school and work. In this list, we take a look at the 8 Most Popular Annual Holidays In The World, using as criteria many things, including the excitement of the people and how many of us celebrate them. Undoubtedly the king of celebrations, New Year is the one holiday that truly unites the whole world in a big festivity. The only differences result from the variations in time zones, but other than that, we all know what a New Year’s Day looks like. Fireworks fill the night skies at the stroke of midnight, glasses are filled with champagne, and the whole world is engulfed in an atmosphere of glee and newfound hope. 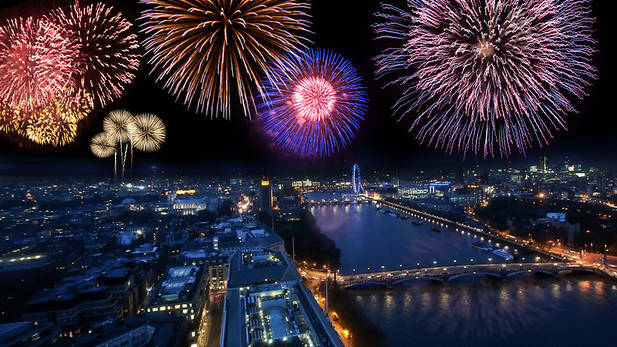 The entrance in a new year has been celebrated for as long as four millenniums, the first ones to have initiated this tradition being the Babylonians. They had a different definition for the New Year, though, since they put on their party hats when the New Moon came around. It may not be a holiday celebrated by absolutely everyone in the world, but it’s definitely the one with the most intense marketing campaign. No other celebration fills our cities and TV screens with as many themed decorations and commercials quite as Christmas does. It symbolizes the day Jesus Christ was born, but it seems like it’s often drifting apart from its initial meaning since it’s also celebrated in many non-Christian countries. Ironically, Christmas is filled with pagan traditions, including the famed Christmas tree and Santa Claus himself. Did you know that the well-known image of Santa with a long, white beard and wearing a red suit was invented by Coca-Cola? All in all, regardless of its meaning, there’s no denying that Christmas is a holiday that fills us all with a joyous spirit, which makes us cherish our dear ones even more. This is a holiday of an incredible importance to Muslims all around the world. It marks the end of the 29 or 30-day cycle of the Ramadan, the Islamic month of holiness and fasting. Fasting is a form of abstinence, which often means the prohibition to consume any kind of food or liquid in the time interval between dawn and sunset. 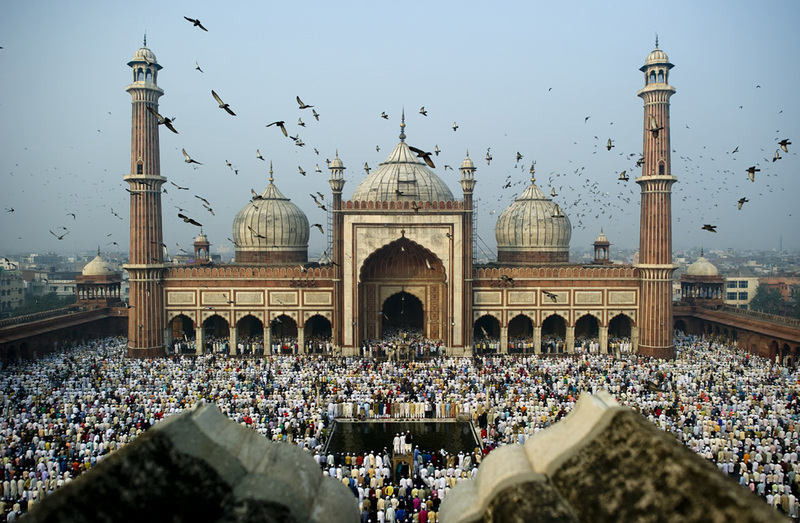 The Eid is the day when Muslims are not allowed to fast, and symbolically, it marks a form of unity. 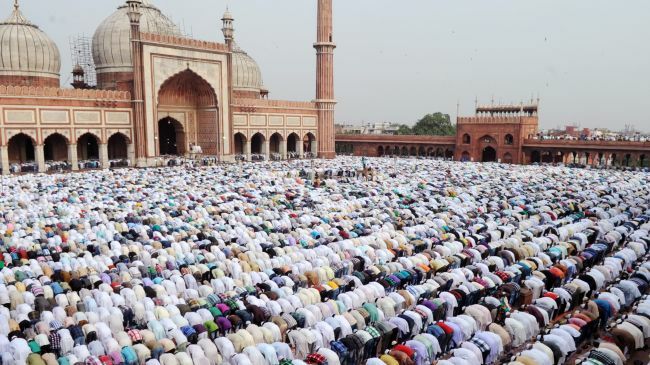 Muslims all over the world gather to celebrate the Eid al-Adha (the Greater Eid, Bakrid), a holiday that falls on 10th day of Dhu al-Hijjah in the Islamic lunar calendar and lasts four days. In the Gregorian calendar, the date isn’t fixed, being moved 11 days earlier every year. With this occasion, Muslims celebrate Prophet Abraham, who offered his son Ishmael as a gift to God. Ishmael himself is also honored for his willingness to be sacrificed. His life was spared by God, who offered Abraham a sacrificial lamb instead. The holiday that celebrates love is the second most popular one in the world, being inferior only to New Year’s. It’s celebrated in many countries on the 14th of February and has become associated with numerous trademark elements. Chocolate, roses, the colors red and pink, Cupid, and gift cards have all been incorporated in what makes Valentine’s Day what it is. In fact, it’s the holiday during which most gift cards are exchanged, being second to Christmas. Also known as Deepavali, it’s arguably the most important celebration of Hinduism. It’s celebrated during the Hindu Lunisolar month Kartika when the night is the darkest and the new moon is present in the sky. It’s a sacred festival of lights, which marks the prevail of light over darkness, of hope over despair, and generally of good over evil. On the days leading up to Diwali, people clean and redecorate. When the actual holiday kicks in, people dress up in their finest garnets, gather around in prayer, eat sweets, and light candles. Diwali is an official holiday in many Hindu countries, such as India, Malaysia, Singapore, Nepal, Fiji, and Sri Lanka. This traditional holiday that celebrates the arrival of a New Year is the longest running festival in the Chinese calendar. 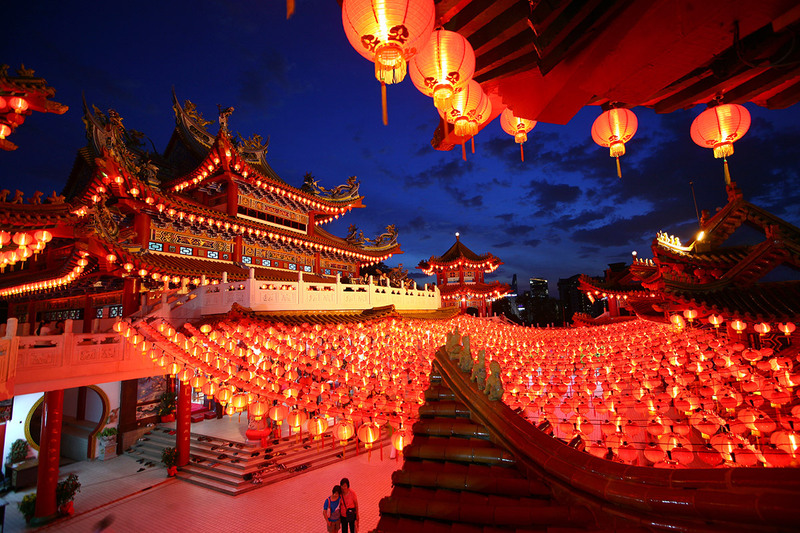 Also called the Spring Festival, it spawns between the first day of the Chinese lunisolar year and the 15th of the month when the Lantern Festival is celebrated. Festivities for the Chinese New Year are full of spectacle, color, and tradition. This holiday also marks the time when the year enters the sign of a new Chinese Zodiac animal. Easter is considered one of the most important Christian holidays, marking the crucifixion, death, and resurrection of Jesus Christ. This series of events represents the foundation of Christianity and is celebrated in the timespan of several good weeks. Preceding it, Christians fast and pray for forty days during what’s known as Lent. The Easter Triduum is celebrated during the last week of Lent, also known as the Holy Week. It’s kicked off by the Maundy Thursday, which reminiscences and commemorates the Last Supper. Then it continues with the Good Friday, a solemn day when everyone remembers the crucifixion and death of Jesus, as well as the torments that led up to them. For fifty days after the end of Easter, Christians celebrate the Eastertide, which finally ends on Pentecost Sunday. Holidays are the times when we rekindle with our roots and traditions and they generally represent periods of solemnity, peace, and joy. Some of us may not celebrate part of the 8 Most Popular Annual Holidays In The World, but that doesn’t diminish the significance they have in other cultures.